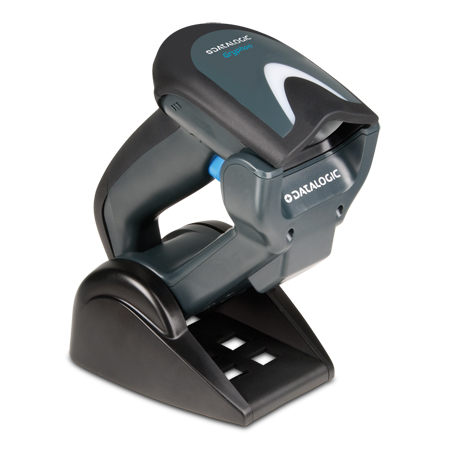 Featuring narrow band radio communications with Datalogic’s STAR Cordless System™, the Gryphon GM4400 reader provides increased productivity and flexibility in the workplace. 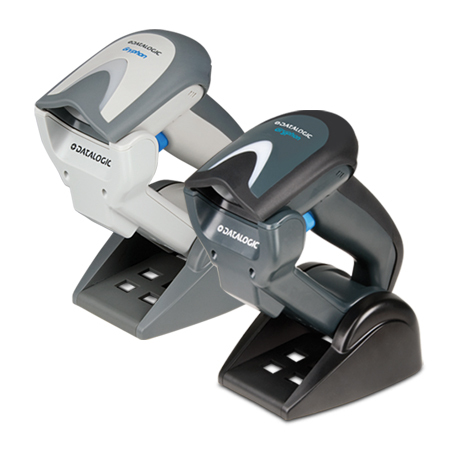 The GM4400 reader series offer scalable solutions from simple point-to-point applications to point-to-multipoint installations with up to 16 readers connected to the same base station. 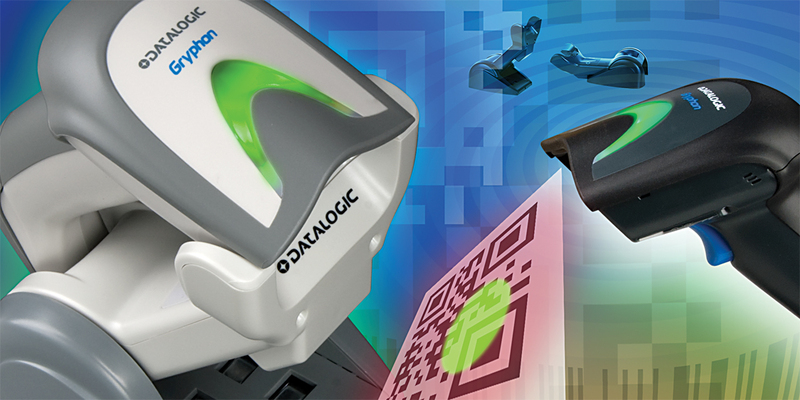 The GM4400 readers ‘Batch Mode’ capability allows thousands of codes to be stored in its’ memory. 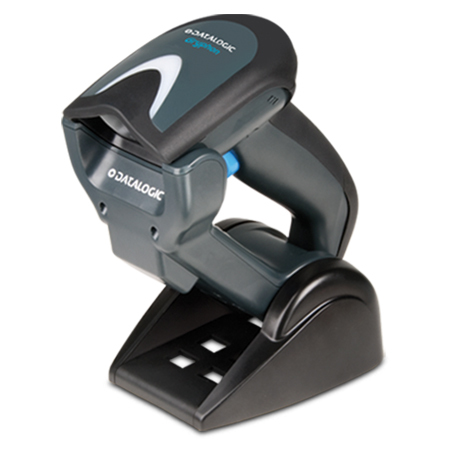 This feature, combined with a long-lasting 60,000 scans-per-charge Lithium-Ion battery allows uninterrupted scanning with unlimited mobility. 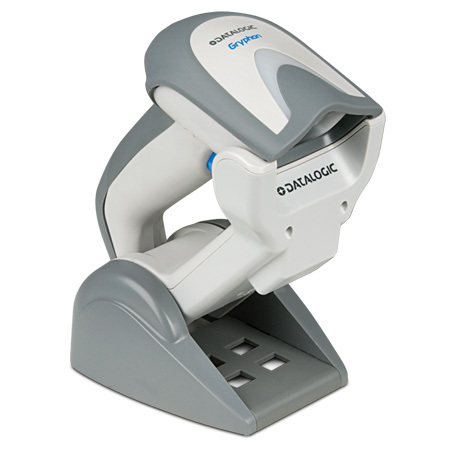 Lightweight and comfortable to use, the steady, dim, deep red illumination light is much easier on the eyes than other similar products with flicker illumination. 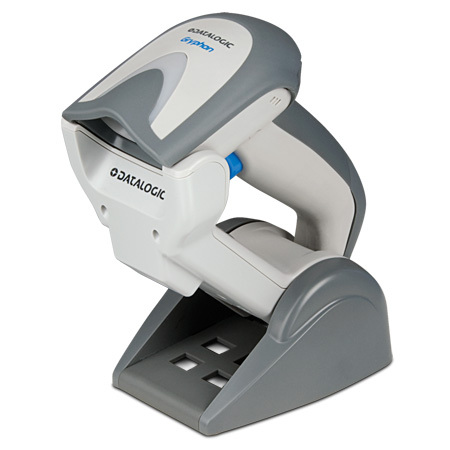 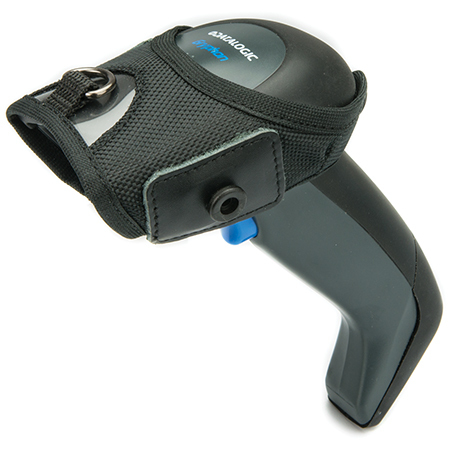 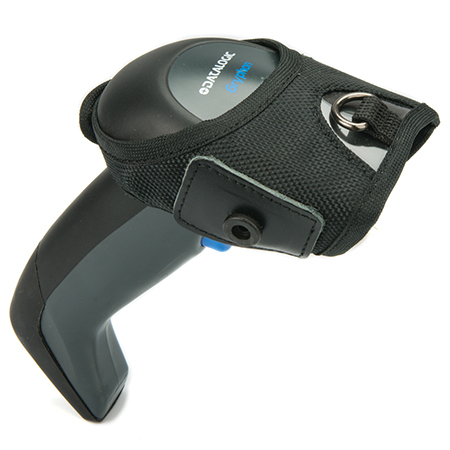 The highly visible 4-Dot aimer clearly defines the reading zone and the center cross provides a locator for targeting when scanning a sheet or product with multiple bar codes.